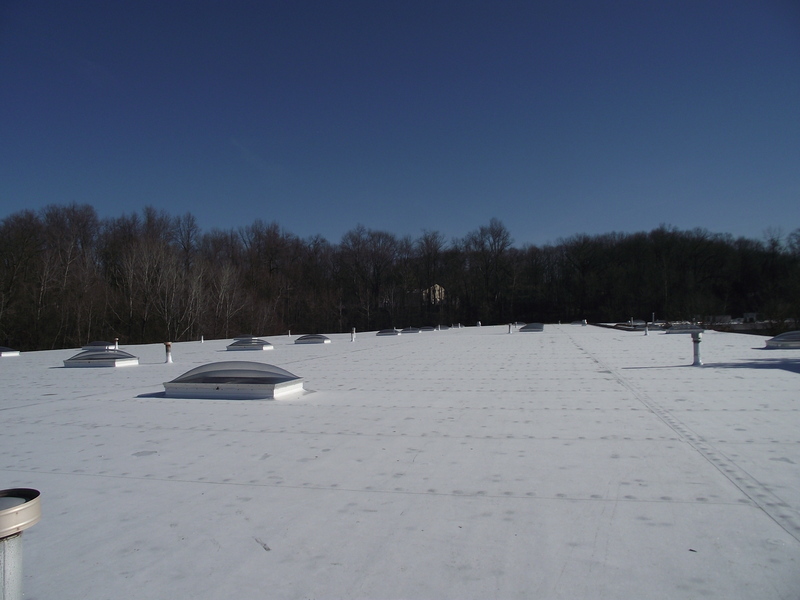 Hayden Building Maintenance Corp. concluded the roof replacement at Subaru Distributors Corp. 20 days ahead of schedule. The project consisted of 122,800 square feet. The top layer of roofing was removed down to the existing built up roof. Hayden installed a Sikaplan 60 Mils Feltback PVC with a 20 year Sarnafil system warranty. The existing substrate is a metal deck. The roof consisted of 2″ fiberglass insulation and a four ply built up roof. A moisture scan was performed to determine any wet insulation. The wet areas were removed and replaced. Existing base flashing, cant strips and strip flashing were removed and disposed. Existing gravel stop and gutter remained in its existing place. Sarnafil Sikaplan Feltback 45 mil white TPO membrane was mechanically attached in accordance with manufacturers specifications.